Whether you are new to Neocate, or your child has been on it for a few years, it is natural to have questions about the formula, and how it works. That’s why we’ve compiled a list of frequently asked questions we have been receiving lately, and are using this blog post to answer them. We hope that after reading this post, your questions will be answered! What makes Neocate different from the formulas at the grocery store? 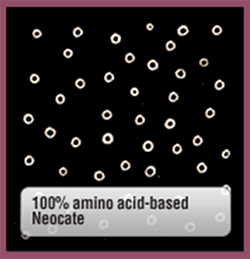 Neocate is a specialized elemental nutrition product. 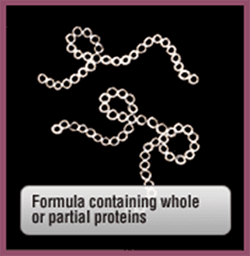 The formulas you find at the grocery contain whole proteins or protein fragments (hydrolysates), which are derived from cow milk or soy. These formulas have more potential to cause an allergic response than nutrition products made from free amino acids. How long will an open can of Neocate last? When does it expire? Is it good past the expiration date? Neocate is good for 30 days after you open the can. You can find the expiration date on the bottom of each can. We do not recommend using any Neocate product after the expiration date. How long can Neocate be kept once it has been prepared? Neocate can be kept at room temperature for four hours. If your baby has fed from the bottle, you should discard any remaining formula within an hour to prevent spoiling. Prepared Neocate can be kept in the refrigerator for 24 hours. Visit Neocate’s mixing instructions for more information. How long can Neocate hang for tube feeding after being mixed? Four hours maximum. Discard any remaining formula after four hours and prepare a new batch. The instructions on the can say to use sterile water. I don’t know what sterile water is. How can I get it? Can I use bottled water? To make sterile water, bring water to a rolling boil for two minutes and allow it to cool for 20 to 30 minutes. You can store sterile water in sterile glassware with a clean lid. Sterile water should be used within 24 hours. Many parents find it easiest to boil water in the morning to last for the whole day. Most bottled water is not sterile, unless the label specifically states “sterile” on the label. Please check with your healthcare provider if you have questions about the need to use sterile water to prepare Neocate Infant DHA/ARA. When will I see an improvement in my child after starting Neocate? Some children show improvement quickly while others may take a little longer. Severe food allergies can cause inflammation and irritation. As with a cut or burn, this takes time to heal. Controlled clinical studies with a food elimination diet and Neocate showed improvement in diarrhea, blood in stool and vomiting in as little as three days in infants and children with diagnosed cow milk allergy. Improvement in gastroesophageal reflux and skin irritations, such as eczema and atopic dermatitis, were reported in 14 days. For children on an elimination diet, it’s important to stick to your doctor or dietitian’s instructions. If you’re trying a maternal elimination diet and still breast-feeding, eat only the foods your doctor or dietitian suggests. If you’re trying an elimination diet with your child using Neocate, do not introduce any other formula or foods until directed by your doctor or dietitian. My baby’s bowel movements have changed since beginning Neocate. Is this normal? Yes, this is perfectly normal and common. Stools can change in consistency and color when a child is introduced to an elemental formula such as Neocate. Which should I use: Neocate Junior or Neocate Splash?